Member of Parliament for Lubok Antu, Jugah Muyang. 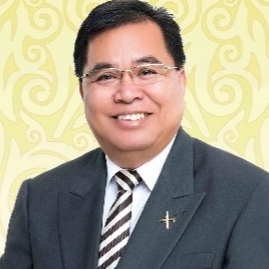 SIBU: Member of Parliament for Lubok Antu, Jugah Muyang yesterday declared his support for Rafizi Ramli for the deputy president post in the forthcoming Parti Keadilan Rakyat (PKR) elections. Jugah said that Rafizi embodied the spirit of reforms as his work had propelled Pakatan Harapan to win the 14th General Elections. “Most people only know that Rafizi’s Invoke has correctly predicted the outcome of the elections but Rafizi did more than that. Invoke also assisted many candidates during the run-up to May 9, and out of 44 seats that received this assistance from Invoke, 42 candidates won their seats, a stunning 95 per cent success rate,” he said. Rafizi, Jugah added, had also proved his mettle for leadership as he led over 40,000 volunteers, with nearly 26,000 serving as polling agents/counting agents (PACA) during the historic elections. He added, “While I have tremendous respect for all the candidates, Rafizi has worked hard, knowing that there are no rewards waiting for him at the end of that journey as he was barred from contesting in the elections. “As selfless as he is, I believe Rafizi is the one that should be by the side of Anwar Ibrahim to helm the party, as the catalyst to push forward the agenda of reform of the party. I urge members of PKR to consider these facts.” Jugah is contesting as the head of PKR Lubok Antu Branch. He joined the party after winning the Lubok Antu seat as an independent, and recently pledged his loyalty to PKR president-elect, Anwar Ibrahim. Lubok Antu MP declares support for Rafizi Ramliof 0 out of 5 based on 0 ratings. 0 user reviews.